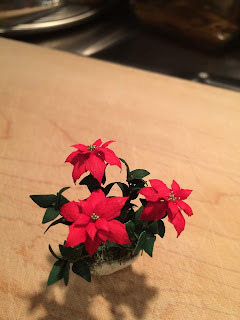 At my last mini club meeting, we made a poinsetta. I'm getting better at making flowers, and our fellow club member/teacher from Artistic Florals, makes such great kits for us to put together that the flowers always look great when you're finished. Have a great weekend and hope you're keeping warm! Your poinsetta's look very good!!! Fantastic job!!! I love the poinsettias pot. Great work! It looks to me like Arlene of Artistic Florals makes those by gluing rough string around a small container, like a bottle cap. Beautiful Penelope! 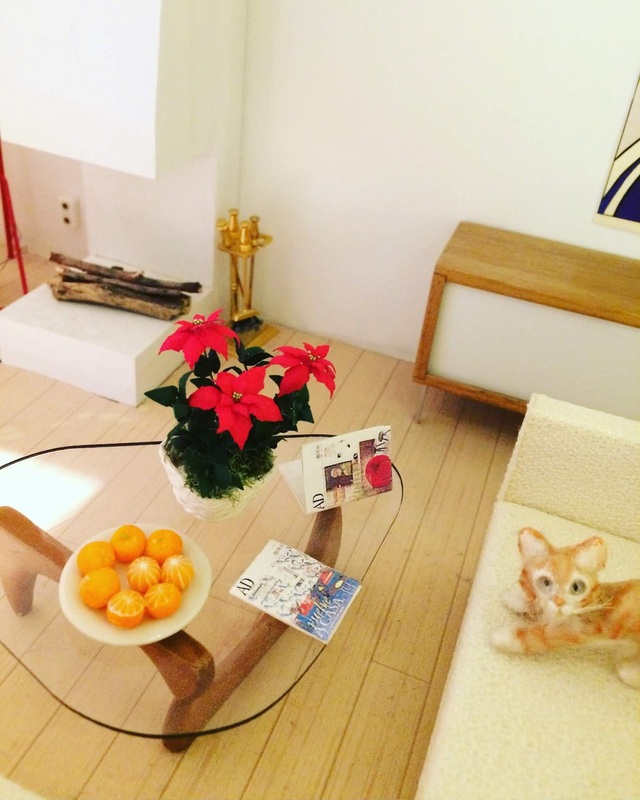 I love poinsettias any time of year! I have a couple Artistic Florals peony kits I have yet to do, so I appreciate your confidence building endorsement!